Jack Robie shirts really stood out to us, not just for their classic style, but for their impeccable fit and attention to detail. Their latest collection, just released this week, continues to build Jack Robie’s reputation as one of the top US shirt makers around. Why did you start Jack Robie? What’s been the reaction so far? 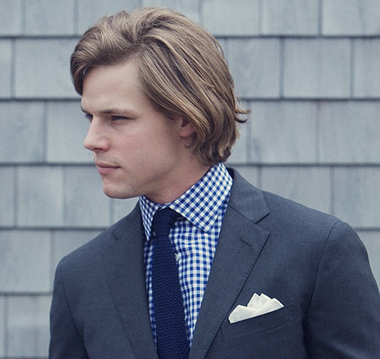 Jack Robie started from an obsession with shirting and a desire to start our own company. From there, we saw an opportunity to make high-quality Made in America products, and offer them at reasonable prices by only selling directly to our customers. The response and support we’ve received has been amazing. What makes a Jack Robie shirt different from other shirts out there? We view our shirts as a long-term investment. Even though we have purposefully structured the company to offer reasonable prices, we still think that when you buy a Jack Robie shirt it should be in your closet for years and years. That means that it won’t fall apart and that you’ll always love its fit and style. Besides everyday life in New York? One place that jumps to mind is Murray’s Warehouse outlet in Nantucket, MA. A few streets down from Main where the retail store is, there are no words for the hidden gems they have. So much inspiration from generations past. Where do you see Jack Robie going in the next year? The next 5 years? People always ask that, and right now all we care about is doing one thing and doing it well. Let the cards fall where they may. Too many to name, we admire so much of what’s going on in menswear right now. Tons of shirts and good conversation. What’s one thing people should know about Jack Robie? We love what we do and we hope that love is evident in every shirt we ship. What’s the most frequent question you get from people about shirts? We get a lot of questions regarding the sourcing of our fabric and where our shirts are made. We’ve found that guys want as much information as they can get about the shirt they’re buying. What should every man know about choosing the right shirt? When choosing the right shirt, make sure that first you love the fabric. You have to love the style and feel, otherwise it will go to the back of your closet never to be seen again. Then, make sure it fits. Not too big, not too small, comfortable to move around in and made with the right proportions throughout. Be sure to visit Jack Robie’s space at Confirmed Stock to see and try on their latest collection. Get a sneak peek on their site.